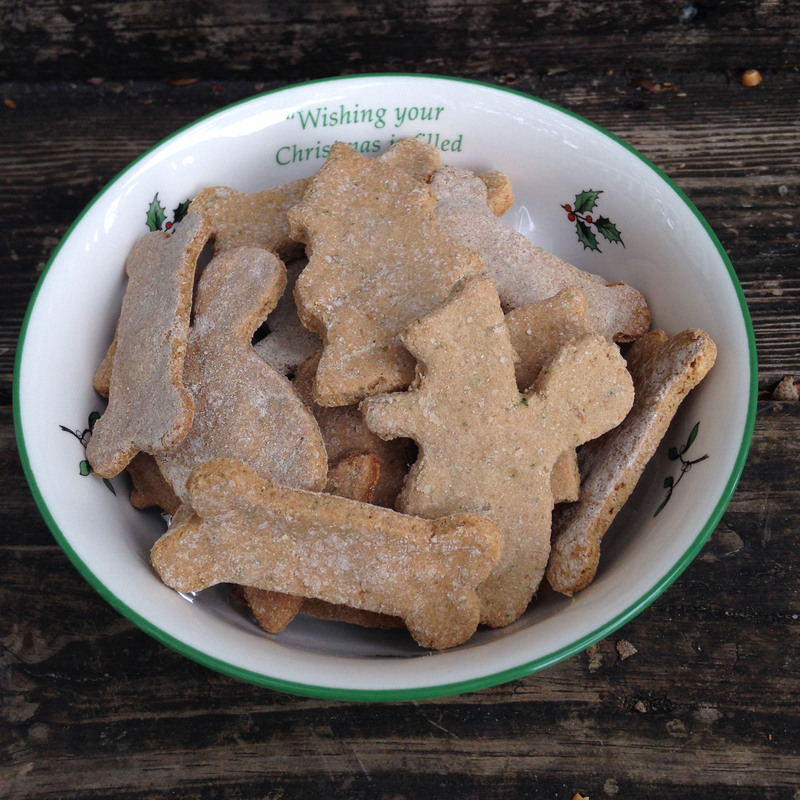 We liked the recipes that made a dough that rolled out, so you could cut fun shaped dog treats. 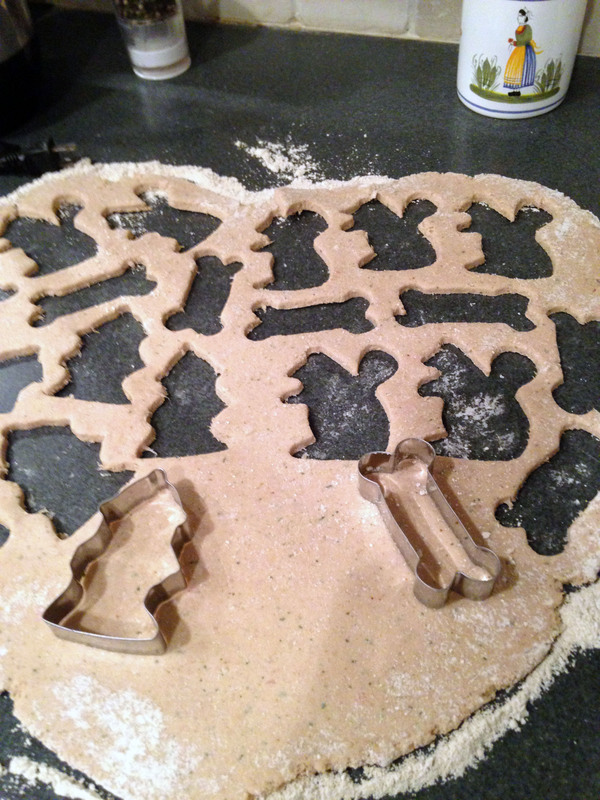 We used bone, fire hydrant, and squirrel cookie cutters. The dough is a little sticky at first, and we kneaded in a little extra flour to make it easier to work. We tried to roll the dough about 1/4″ thick, but if you have kids rolling out the dough, you might have some batches that are thicker. Increase the baking time if you have thicker biscuits. We watched until the biscuits were browned on the edges. There are many dog treat recipes available online. You need to know if your dog has any food sensitivities, and the dog biscuits should never have chocolate, raisins, onions, and a few other items that are toxic to dogs. 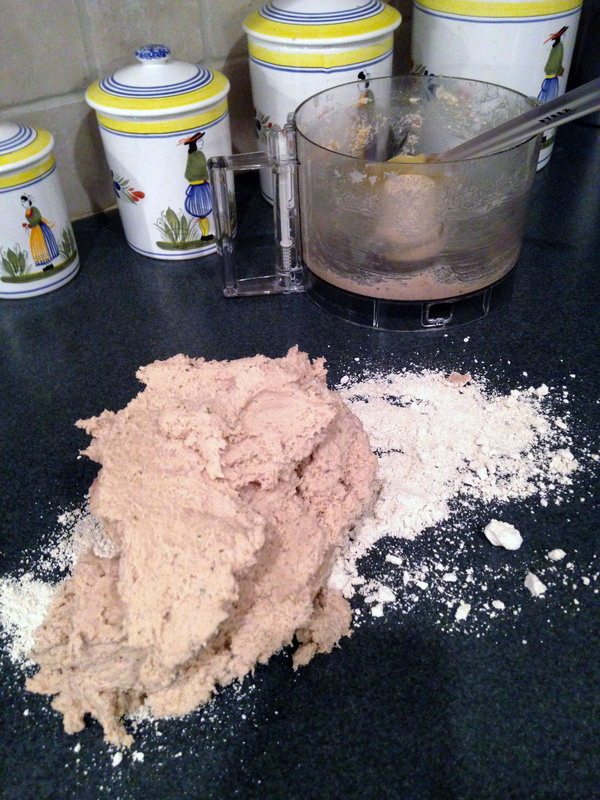 Many of the recipes I found had specialty flours (we used brown rice flour and oat flour), so check your pantry before starting. CLICK HERE for one recipe from the Bubba Rose people that is similar to the ones we made. Our cookbook said it is easy to swap out the “flavor” ingredients for something similar– it did not recommend replacing the flours. For example, if a recipe calls for cheddar cheese, you could replace with provolone. If a recipe calls for ground chicken, you could replace with ground turkey. When we are putting together our gift boxes, we are making sure there is a mix of shapes in the gift box (or bag). 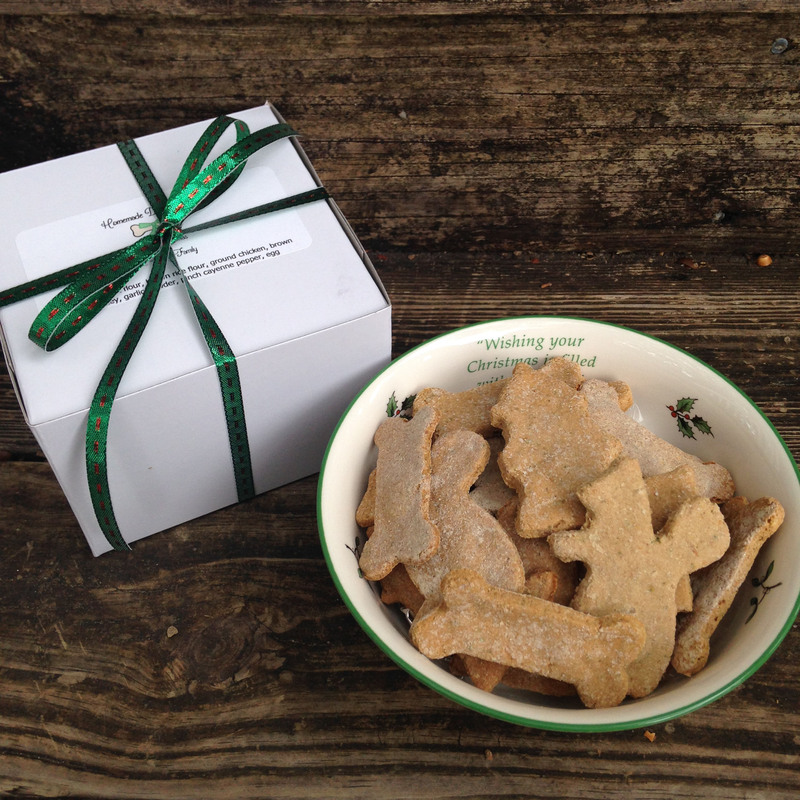 We are also wrapping up a few gift boxes for our neighbors and friends who have family dogs. Sounds great! I’ll try these out for my little puppy !